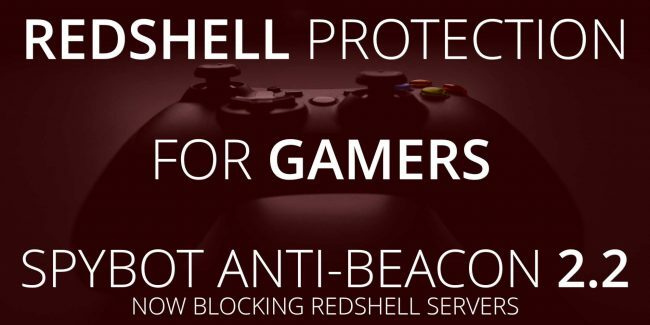 News » June 22, 2018: Anti-Beacon protects Gamers! Today we give you Spybot Anti-Beacon 2.2, which protects you from RedShell-using games calling home. Once installed, you can verify that they’re blocked by pressing Customize and checking the RedShell option. RedShell is a tracking module that comes shipped with games like Civilization VI, The Elder Scrolls Online, the Total War series and more.